Self Esteem Clothing - Wear It With Pride! We have some unique self esteem clothing from the Action Jackson range that you can wear with pride. Why not invest in one for yourself or as a gift for friends, family members, students or colleagues. 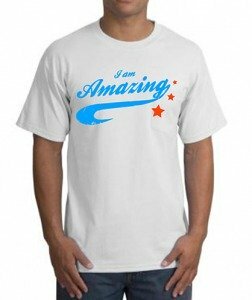 If you are a manager or team leader with a team of people working under you, the "I AM AMAZING" T-shirt would be perfect for recognising the efforts of your team members, it will be a great way of telling them that you appreciate their efforts and that you think that they are amazing. If you are a trainer, teacher or life coach, it would be the perfect gift to encourage and motivate your students. 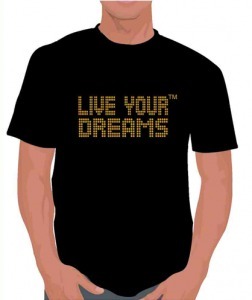 The second product from our self esteem clothing range is the "LIVE YOUR DREMS" T-shirt. The Live Your Dreams T-Shirt for me, is something you can wear with pride, it will remind you that you owe it to yourself to fulfil my dreams and potential every time you put it on. It will also serve as motivation for you whenever things aren't quite going right and you face obstacles, the T-shirt will remind you not to quit but to keep fighting till you Live Your Dreams. If you are a personal development trainer or a self esteem coach, then the live your dreams T-shirt would be a perfect gift for the students you train. 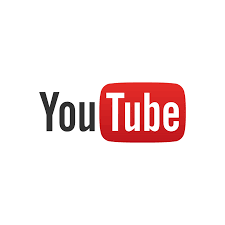 You can use them as rewards during your course when a student does something within the session that deserves to be rewarded. In fact we recently had a bulk order of the live your dreams T-shirt from a school who wanted all the students graduating to wear the Live Your Dreams T-shirt on their graduation day - to remind them that as they graduate, they should go into the big wide world and make their dreams happen.